Hey there! This Precious Mineral BB Cream from Etude House post is way past overdue, to be honest. My apologies, I should've published it about a year ago (Yep, that long) but I only got to try these BB creams this year. 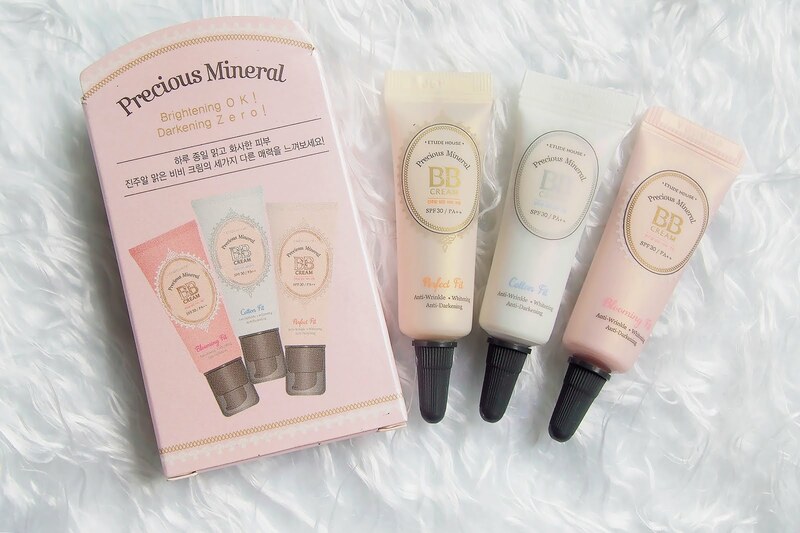 Truth is, I was planning to leave this one out already and not create a blog post for it anymore but when I tried it I thought it deserves a spot on my blog and that maybe someone out there might be interested in Etude's Precious Mineral BB Cream. It's a pretty good product after all. First, let me just say... look at that holographic-like packaging! I love it so much! Also, these are trial kit gift/freebie I got from my previous Etude House loot. So I had no idea how much these "baby" creams cost but I did my research a.k.a check-Etude-House-websites. The 60g tube you'll find in the Etude House store is priced at P848. 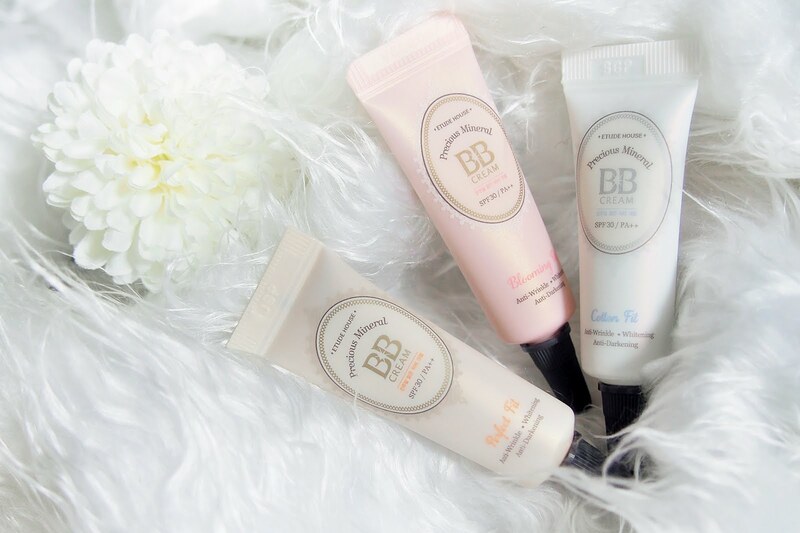 The Precious Mineral BB Creams by Etude House are formulated with Broad Spectrum SPF 30 / PA++ that moisturizes, smooths, protects, and corrects with perfect coverage. It provides Whitening + Anti-wrinkle + Anti-darkening effects. It comes in three types. Cotton Fit, Blooming Fit & Perfect Fit. I only tried the Blooming Fit & Perfect Fit so far, I haven't tried the Cotton Fit variant but will do soon. 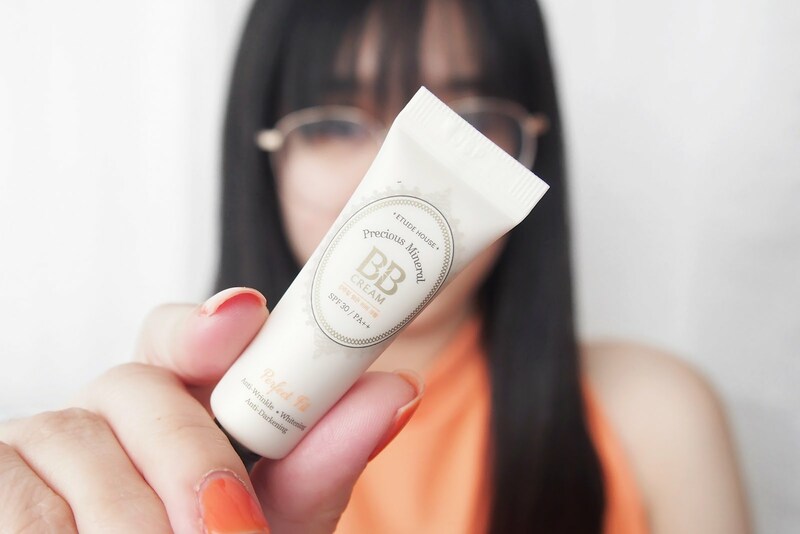 The one I used for the blog post is the Precious Mineral BB Cream in Perfect Fit. So here's my bare face with pimples that popped on the exact day I made this post. Huhu. They weren't there the day before I took this photos but I guess that's a good thing. 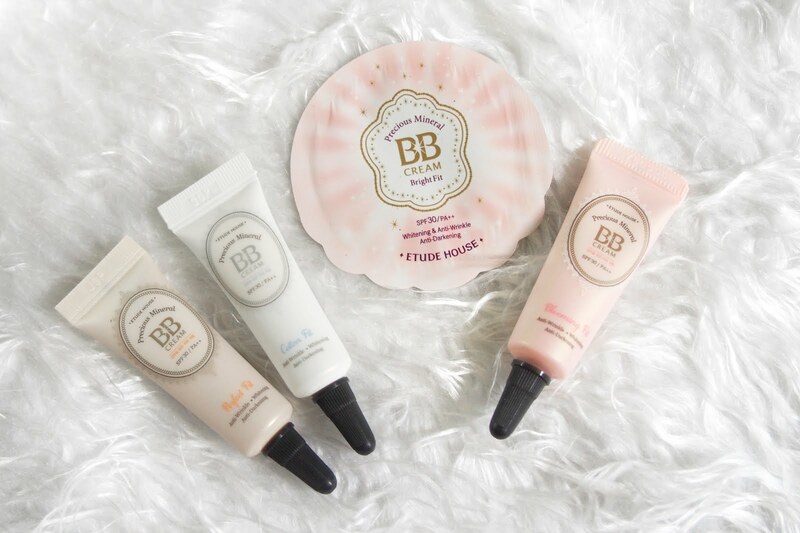 We'll be able to test the coverage prowess of these BB creams from Etude House. Side note, the pimples in photo slowly diminished as of writing, whew. One layer of BB cream applied on the left side of my face. Personally, I think the coverage is great. It doesn't give a full coverage but It was able to tone down the redness on my face. And the pimple on the side of my face with BB cream on was nearly unnoticeable. Btw, my skin type is oily and my tone is fair. This time I applied two layers. I have to say I'm impressed with the Precious Mineral BB Cream. I wasn't really expecting much. It's like I don't need to apply concealer anymore. Also, I was surprised my skin felt moisturized and smooth after I wiped my makeup. 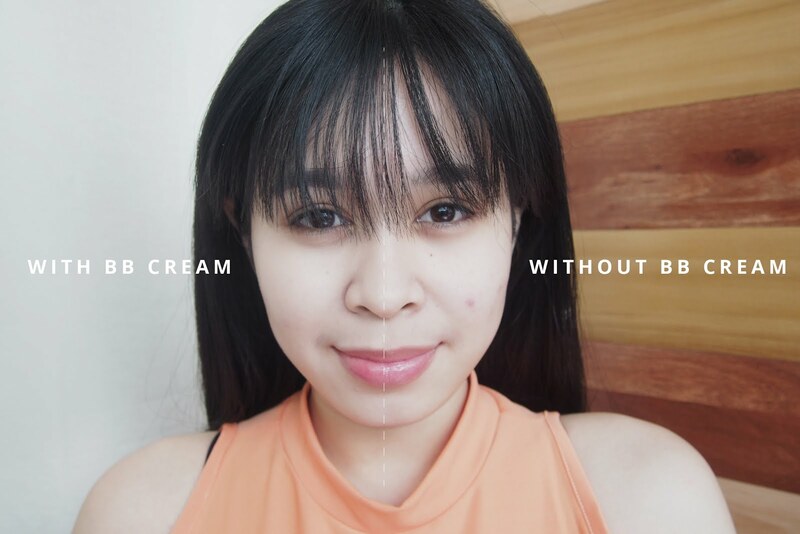 I do feel the BB cream took part in making my skin feel good because I never felt that effect from the previous products I've tried on my face. So far I liked the Perfect Fit more than the Blooming one. Both of them gives a dewy finish but the Blooming Fit leaves a dewier finish on my face that l didn't like because it looked rather oily for me, that's just my opinion. I have yet to try the Cotton Fit though. I guess I'll just update this post after I've tried it. Oh yeah, I also have a sampler of the Bright Fit. Not sure, if it's still available but I've tried as well and I can say it's also worth to try (more so if you get it for free). Though I still favor Perfect Fit than the Bright Fit. April 17, 2017 Update: I already got to try the Cotton Fit variant of the Precious Mineral BB Cream. What stood out about it is its smell. Of all three, this one is my fave coz' of its cottony scent and when it comes to Etude House, their cotton scented products is something I really love. For the coverage, it gives a medium coverage similar to the two. Same dewy finish as well. It's my second fave next to the Perfect Fit.